I have a 6 or 7 week old chick hatched under a hen (actually under 2 sharing) which seems to have a beak deformity. Whether one of the hens was a bit clumsy or it was born like that I don't know. Now I have taken some close up photos it looks like it's similar to a human cleft lip type of thing? It is a lot smaller than the other 2 chicks as it cannot pick up food easily but it seems otherwise normal and happy enough. Here's a photo of it (quite a mission to get on through Photobucket). I'm not into putting down a chick if it can have a life so I will let nature take its course unless it appears distressed. I didn't think it had a comb either but there seems to be a tiny one. Last edited by tishie11 on Sun Jan 15, 2017 10:39 am, edited 1 time in total. Is its tongue sticking out? It looks to me like both the upper and the lower beak are too short? I don't think this can be caused by a clumsy hen - it probably hatched like this. I can see wattles and comb - it's probbaly a female - as usual when there's one with a deformity. Have you checked if its crop is full in the evening to see whether it gets enough to eat? Some chicks with a beak deformity do better on mash - rather than pellets. Yes its tongue flicks in and out. She is a lot smaller than the other 2 of the same age so I know she is not getting as much food. I haven't handled these chicks as they have been with a hen until recently when she started fretting to get out and started laying again. 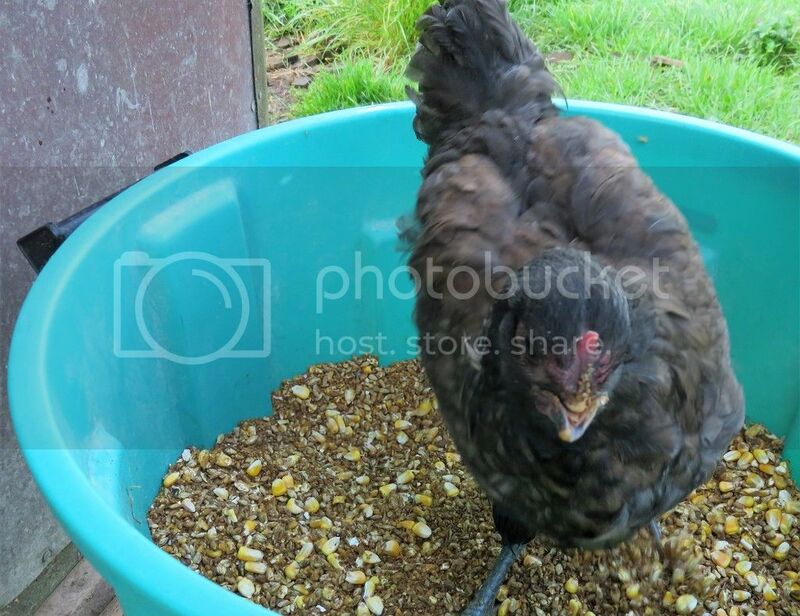 I have been feeding them chick starter still and chook chow as this has small grains and mash size food in. I might have to put this in a small container so the chick can put her whole head in rather than a beak as normal. Just an update on this chick. She is very active, running around as much as the others. But she takes 4 or 5 attempts to pick up a piece of food poor thing! 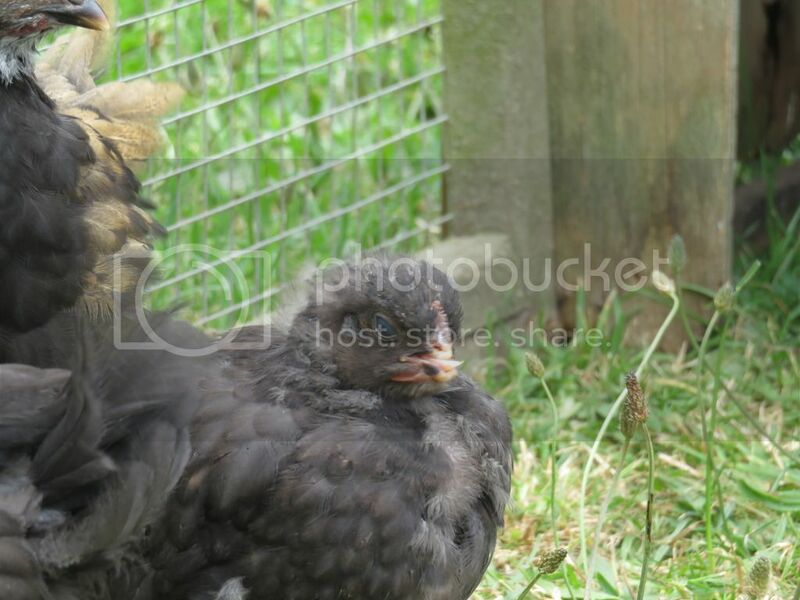 She is a tryer even though she gets pecked by all the others being the littlest of the flock. Has anyone else had a chick with a beak deformity that's lived a normal life? I've seen one at a friend's place with a much more severe beak deformity than yours who had reached adulthood. She was even laying but very very susceptible to lice. My little chick has now reached 4.5 months (same batch of eggs as my gold laced pullet under my other post) but it is a male! He is still small - much smaller than the others of the same age. The best way of feeding him I have found is to put him into the bin of feed and bunch up the feed into a pile. He does quite well like that and doesn't get pecked by the others while he's eating.